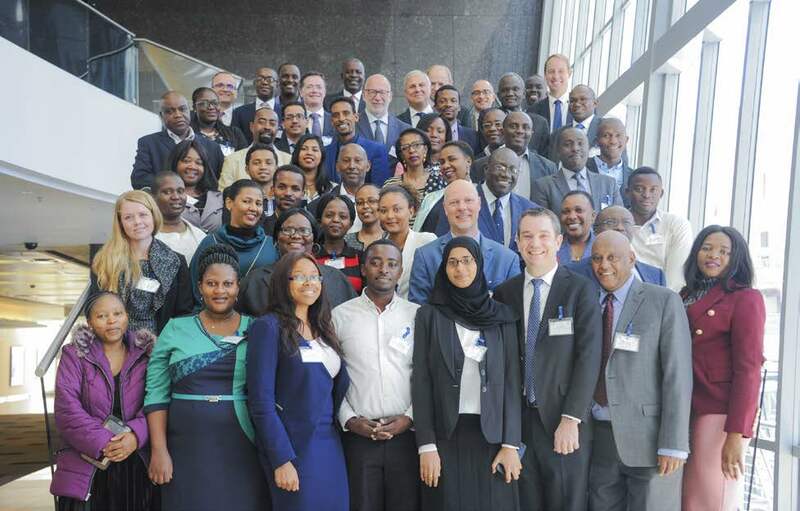 COMESA Monetary Institute (CMI) in collaboration with the IMF Regional Technical Assistance Centers for Eastern and Southern Africa (AFRITACs East and South), organized a workshop on “Medium –Term Fiscal Frameworks and Fiscal Risks” in Johannesburg South Africa, 10 – 14 September 2018. The objectives of Medium Term Fiscal Frameworks (MTFFs) are to ensure that target path for a country of fiscal aggregates is consistent with fiscal sustainability and macroeconomic stability. The same applies to Medium-Term Budget Frameworks (MTBFs). The designing of MTFF and MTBF are key elements of the COMESA Multilateral Macroeconomic Surveillance Framework. Several COMESA countries have been undertaking budgetary reforms aimed at enhanced fiscal discipline and achieving better alignment of resource allocation with national priorities. The reforms are also aimed at improving the certainty of funding, both within a country and externally in the medium term, as well as achieving wider economic and social progress including poverty reduction and more efficient public investment. In his address, CMI Director Mr. Ibrahim Zeidy stated: “Most countries in the region face skills constraint and require building their capacity in macro-fiscal forecasting and analysis in order to have credible Medium Term Fiscal Frameworks that creates the base for credible Medium-Term Budget Framework. The workshop focused on sharing experiences in preparation of MTFFs and reforms which need to be undertaken to strengthen their implementation. It also examined fiscal risks, which entails, the effects of factors outside government control such as excessive exchange rate depreciation or excessive debt to GDP ratio. Such factors cause fiscal out turns to deviate from their initial forecast creating potential threat to fiscal and debt Maintaining Aggregate Fiscal Discipline and Sustainability sustainability. It also discussed best practices of how to manage fiscal risks. The decision to host the capacity building workshop arose from a decision made at the 23rd meeting of the COMESA Committee of Governors of Central Banks in Djibouti in March 2018. The workshop was attended by participants from Angola, Botswana, Comoros, Ethiopia, Eritrea, Kenya, Lesotho, Madagascar, Malawi, Mauritius, Mozambique, Namibia, Rwanda, Seychelles, South Africa, Sudan, Swaziland, Tanzania, Uganda, Zambia and Zimbabwe.